A National Seminar “Greenery and Landscaping” focused on Green Urban Areas was organized by the Central Public Works Department (CPWD). The recommendations made at the conference are In order to maintain a sustainable environment, pollution free clean air, it is essential to take up the plantation work. There is a need to adopt wood alternative in building construction. Use of alternate materials like Bamboo needs to be encouraged. The 2019 Malaysia Open Badminton tournament was held at Axiata Arena in Malaysia from 2 to 7 April 2019. The winners of Men’s Singles: Lin Dan (China), Women’s Singles: Tai Tzu-ying (Taiwan), Men’s Doubles: Li Junhui & Liu Yuchen (China), Women’s Doubles: Chen Qingchen & Jia Yifan (China) and Mixed Doubles: Zheng Siwei & Huang Yaqiong (China). The Malaysia Open is an annual badminton tournament that has been held since 1937 and it is also known as Malaysia. International Day of Reflection on the 1994 Rwanda Genocide was observed on 7th April in memory of the victims of the genocide in Rwanda. The genocide was against the Tutsi community directed by members of the Hutu majority government during the 100-day period from 7 April to 15 July 1994. About 85% of Rwandans were Hutus and the Tutsi minority has long dominated the country. In 1959, the Hutus overthrew the Tutsi monarchy and tens of thousands of Tutsis fled to neighbouring countries, including Uganda. On 6th April, a plane carrying then-President Juvenal Habyarimana, and his counterpart Cyprien Ntaryamira of Burundi both Hutus was shot down which killed everyone on board. The citizens of Israel on April 9, 2019 elected Incumbent Prime Minister Benjamin Netanyahu, leader of the right-wing Likud Party, for fifth term in office. The Israeli voters would be casting their votes for a party and not individual candidates. Any party that wins 3.25 percent or more of the vote will get at least one seat. The more votes a party gets, the more seats it will obtain in the Knesset as the government is based on a nationwide proportional representation system. Benjamin Netanyahu is one of Israel’s longest-serving leaders, having served 10 uninterrupted years as Prime Minister. He had previously held the position from 1996 to 1999, when he had become Israel’s youngest-ever Prime Minister. The World Homoeopathy Day 2019 will be observed across the world on April 10, 2019 to commemorate the birth anniversary of the founder of Homoeopathy, Dr. Christian Fredrich Samuel Hahnemann. On this occasion, the Central Council for Research in Homoeopathy (CCRH), an autonomous research organisation under AYUSH will organise a two day convention during April 9-10, 2019 at Dr. Ambedkar International Centre in New Delhi. The AYUSH Awards will be conferred with an aim to recognise exemplary work in the field of Homoeopathy. The President of India, Ram Nath Kovind, released National Institutional Ranking Framework -2019 (NIRF) and presented awards to the top eight institutions in different categories at a function held in New Delhi on April 8, 2019. He also released the Atal Ranking of Institutions on Innovation Achievements (ARIIA) and presented the ARIIA awards to the top two institutions. IIT Madras ranked on top in overall category in NIRF-2019 while Miranda House College of Delhi University ranked number one in ARIIA. First, NIRF Ranking was issued on 4th April 2016. India and Sri Lanka have agreed to increase cooperation in security and defence spheres in several areas, including regional security, curbing drug smuggling and human trafficking. The agreement was done when Defence Secretary Sanjay Mitra called on Sri Lankan President Maithripala Sirsena in Colombo during his official visit. Justice Pradeep Nandrajog on April 7, 2019 took oath as the new Chief Justice of the Bombay High Court. He was administered the oath by Maharashtra Governor C Vidyasagar Rao at the Raj Bhavan. Justice Nandrajog was serving as the Chief Justice of the Rajasthan High Court since March 2017, following his transfer from the Delhi High Court. 1. When was the Malaysia Open Badminton tournament started? 2. In which year genocide in Rwanda took place? 3. 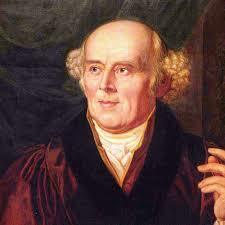 On which day, World Homoeopathy Day is observed every year? 4. Which institute topped the NIRF-2019 ranking? 5. When was the first National Institutional Ranking Framework ranking was released? 6. With which country India agreed to increase cooperation in security and defence spheres recently? 7. Who has been appointed as the new chief Justice of Bombay High Court?